Every Champion was once a Challenger. Now it's your turn. 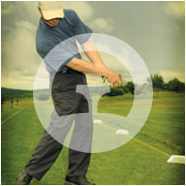 Join Challenge Golf to see how your game measures up. What happens from there is up to you. At its core, it is a suite of statistical tools that let you track your performance like the pros do. At its essence, it is a community of golfers that loves the game as much as you do. Enter your scores and we do all the rest. Our handicap system is 100% compliant with the USGA Handicap Index © formula including 9 holes rounds, partial rounds, tournament score reductions and automatic Equitable Stroke Control adjustments by round. Whether you care about the final number only, or all of the nuts and bolts of the formula, you'll find it here. Check it out! With some basic information about your performance on each hole, we automatically generate over 35 detailed stats about your game; from the basics like Greens-in-Regulation to the particularly revealing 3-Putt Avoidance stat. Our Advanced Stats will even breakdown your performance by distance to show you how the length of a hole affects your game. Check it out! You may not be a pro, but your Career Stats page will make you look like one. The baseball card layout shows your stats year by year so you can really see where you are getting better… or worse. The differential graph tracks your game like a stock, except that high is bad and low feels great. Check it out! That 75 that you shot three years ago will be immortalized forever. Show the doubters your scorecard from that day you hit 15 greens. Or brag to your friends about being the only one that has notched a Double Eagle before. Of course, records are made to be broken, so get to work! Check it out! A history of all those times you have been in the ZONE. We track Consecutive holes at par or better, Consecutive holes without a 3-putt, and Consecutive Greens-Regulation just to name a few. The world watched Joe DiMaggio get a hit 56 games in a row, and now when you make 56 putts in a row, the world will know too. Check it out! One man against the course? I don't think so. At Challenge Golf, you can challenge yourself, your friends, your rivals… in short, anyone or everyone. Join the group at your local course to see who is dominating, or create a group with your friends to talk some smack. You think your name is going to be at the top of that leader board? YES SIR! I like that in a golfer... The Challenge Golf Group: Join Us!